With origins as far back as the 17th century, Leicester cheese was not universally known by that name until after 1759 when quality regulations were put firmly in place to guide the important cheese market in the quaint town of Leicester, England. “Red” was added to the village’s namesake cheese in the 1950’s to distinguish it from “White” (uncolored) Leicester produced during wartime. To achieve the vibrancy that distinguishes Red Leicester from other cheeses, first carrot or Beet juice emphasized Red Leicester’s organic orange hue (caused by the carotene-rich, lush meadows of the English countryside) then in the 18th century, natural annatto vegetable dye became the preferred color enhancer. Typically matured for about 3 months, Red Leicester is firm and more crumbly than similarly made Cheddar cheese. 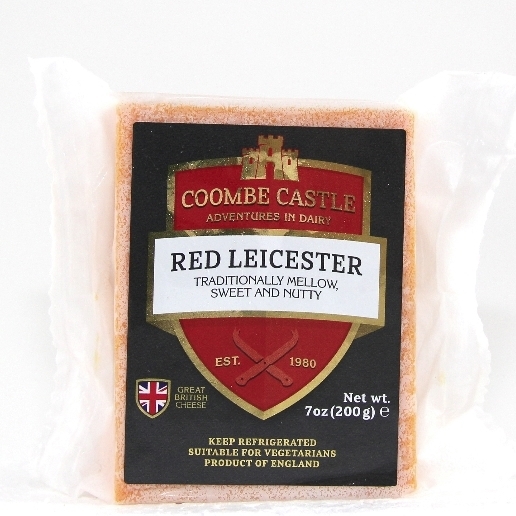 Coombe Castle Red Leicester comes by its hallmark mild and slightly sweet, tangy nuttiness honestly with careful attention to traditional production methods and the highest quality, farm-fresh cow’s milk available. Application: Red Leicester is a delicious alternative to Cheddar. It adds rich color and lovely flavor to everything from cheese trays, salads or sandwiches and will melt well for sauces and other cooked dishes. Pairing: For a red wine, try a fruity Pinot Noir. An oaky Chardonnay or a steely Riesling make good white wine matches. Duhaime Gourmet, located in Québec, Canada, has three generations of food innovators behind its current cheese-topper success. 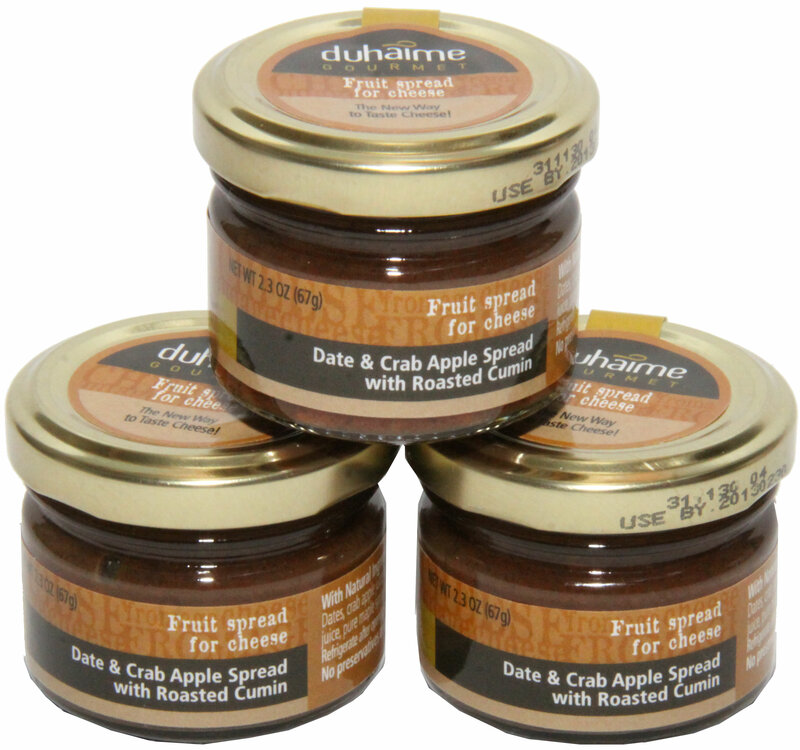 Duhaime’s Date & Crab Apple fruit spread is completely all-natural: no artificial flavors, preservatives or colorants. With a slight hint of roasted cumin, this sweet, savory and spicy pleasure is designed specifically to complement cheese. It pairs deliciously with any cheese but goes particularly well with goat cheese and artisan bread and makes a chic, flavorful impression at any gathering. Copyright © 2014 Atalanta, All rights reserved.